... so the first step is to work out how my services will fit into yours. This initial consultation can be combined with visiting me to take a look at more of my work and see examples of my wedding albums. However, many of my clients choose to book me over the phone or via email if they want to secure my services but aren't able to visit me in Edinburgh until nearer their wedding day. Choosing how long you want me to be at your wedding will determine the range of images that will appear in your final section of pictures. 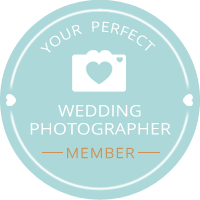 All of my wedding photography services include coverage of the key parts of your wedding day and can be extended to include the bridal preparations and the evening's celebrations. Reportage wedding photography is all about showing the events of your wedding day without contrived staged shots, which means that you are free to get on with enjoying your wedding without worrying about posing for the camera. However, we also offer pre-wedding portrait sessions which many of my clients take advantage of, either as a way of celebrating their engagement or to get over any nerves they might have about being photographed on their wedding day. you will receive one free 10" x 8" print of your choice for each booking.